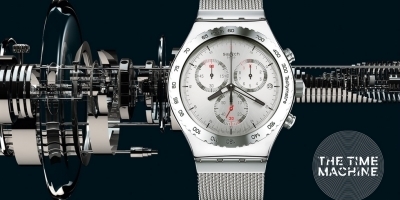 The story of Swatch is the story of a revolution. In 1983, the unexpected appearance of an affordable, Swiss made, plastic (!!) watch turned the watch world upside down. Suddenly, a watch was much more than a way to measure time. It was a new language, a way to speak from the heart without words. This wristwatch very soon spread its joy of life right across the globe. It was phenomenally successful � the most successful watch of all time � and its parent company, the Swatch Group, was to become the largest and most dynamic watchmaking company in the world. Swatch watches were inspired by popular culture, and Swatch itself soon became a canvas for world famous artists�painters, sculptors, musicians, filmmakers. It isn�t the medium that counts, it�s the act of making something different, the creative impulse and its expression. Everyone knows a Swatch when they see one. There�s clearly something that makes Swatch different from every other watch brand. What is it? There are Swatch watches for people of all ages, and a Swatch for every occasion. Swatch is an attitude, an approach to life, a way of seeing. The sight of a Swatch excites emotion. Wearing one is a way to communicate, to speak without speaking. Heart to heart. 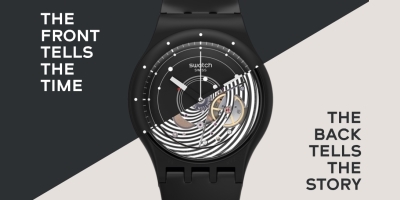 Swatch watches were inspired by popular culture, and Swatch itself soon became a canvas for world famous artists�painters, sculptors, musicians, filmmakers. It isn�t the medium that counts, it�s the act of making something different, the creative impulse and its expression. The Swiss watchmaker has introduced an extraordinary series of innovative product that delivers precise, long-lasting, maintenance-free performance.